Our research aims at identifying associations between genomic elements (characterized by genome-scale assays) and disease incidence or prognosis. Our lab is motivated by studying disease within the context of the patient in order to create a more holistic understanding of the disease. Our focus is towards characterizing two main systems, the immune response and gut microbiome, and their interplay with one's lifestyle and exposure to elucidate their involvement in human health and disease. Using this information, we will hopefully suggest new ways to prevent, diagnose and treat diseases. Each human gut harbors communities of trillions of microbes called microbiota. Collectively, these microbes have about 150 to 300 times as many genes (the microbiome) as the human genome. This vast army of microbes (and genes) is now recognized as a vital component in furnishing and maintaining human health. They deliver minerals and vitamins, help digest our food, can affect our mood and immune system. Recent research shows that the central nervous system and the digestive tract maintain a two-way line of communication, the “brain-gut-microbiome” axis. By secreting gas, chemical or even neurotransmitters, the gut microbiota can affect defined brain areas related to eg. stress/anxiety, satiation, sleep, memory, and cognitive functioning. Although these results are promising to explain some microbiome-derived health benefits related to environmental stimuli, studies are challenged by the fact that the human microbiome is complex and varied. We propose to analyze profiles of the gut microbiota and brain activity before and after an (exercise training) intervention, a design that should transcends conventional approaches capturing only a single screenshot of the microbiome. The majority of cancer research to date has largely focused on understanding molecular properties of the tumor and its surrounding microenvironment in order to therapeutically target key molecular components that might drive disease progression. However, it is now well understood that cancer cells do not exist in isolation. For example, we presented quantitative evidence that the tumor and microenvironment for many breast cancer patients (~20%) do not provide sufficient information to predict how the disease will progress. There does not appear to be any signals at the tumor site that alone are good markers of response to standard of care treatment and ultimately patient prognosis. In turn, this suggests that other factors external to the tumor including, for example, the patient’s immune system, lifestyle and exposures may play a significant role in disease progression. 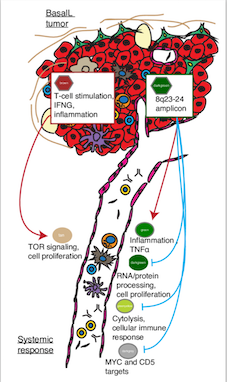 In our most recent study, we established the existence of several molecular interactions between the primary tumor and the patient systemic response. That is, we identified molecular processes and pathways in the primary breast tumor that are tightly co-expressed with molecular processes and pathways in the patient blood cells (our surrogate to measure the patient systemic response). These interactions and additional information regarding patient exposure and life-style information are the first steps towards a new generation of integrative holistic predictors for a broad range of clinical end-points: diagnostics, response to therapies, prognosis and disease monitoring. 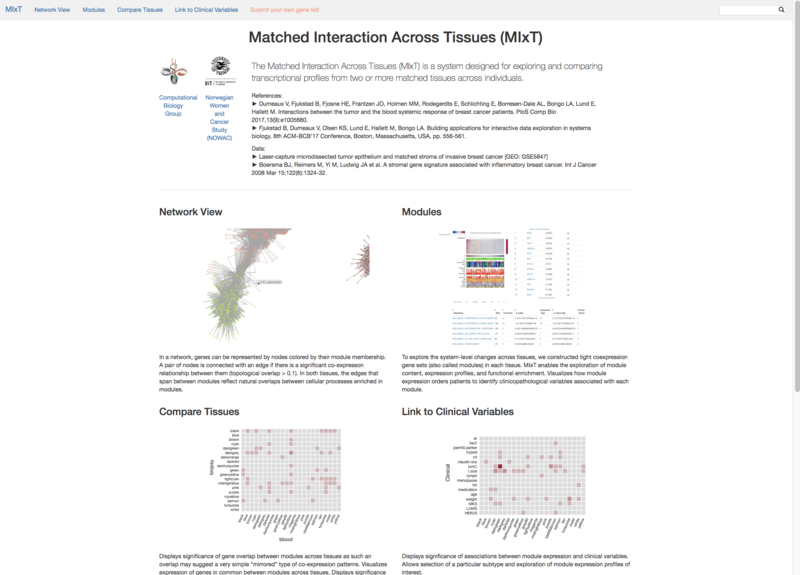 MIxT: system designed for exploring and comparing transcriptional profiles from two or more matched tissues across individuals. Genomic profiling of RNA from a patient’s blood can be used to assess the state of the immune system in an individual and offer many opportunities to participate in precision medicine efforts. Our efforts to date have harvested RNA from whole blood composed of diverse cell types (eg, T and B lymphocytes, neutrophils, platelets). Thus, molecular profiles of these samples are “averaging” over the transcriptional programs of the different types of cells in blood. 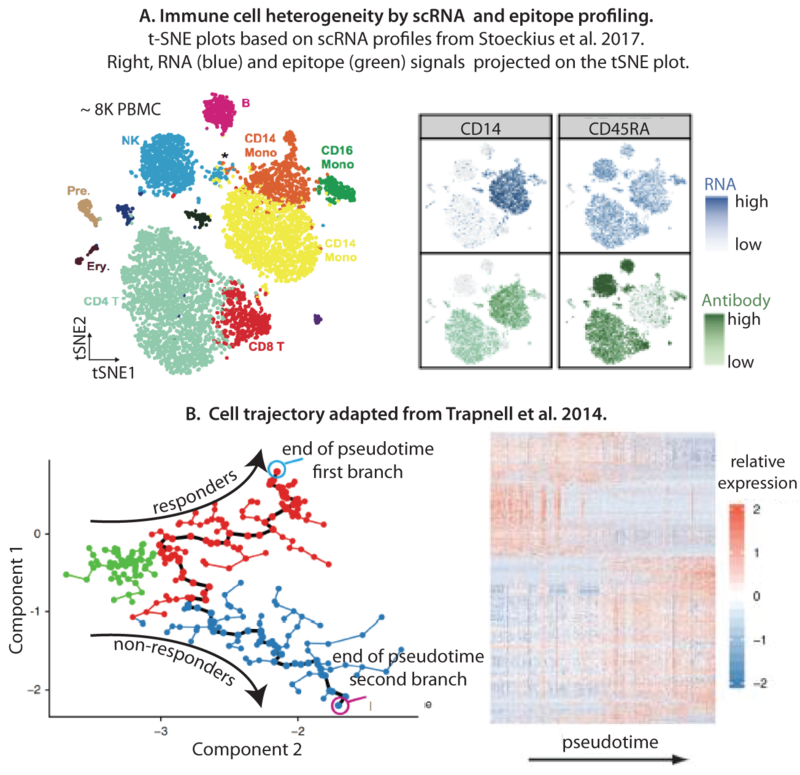 Modern approaches based on single-cell RNA sequencing are becoming increasingly routine where RNA from a single cell is isolated and sequenced. This allows transcriptional programs of each type (eg immune) of cell within a blood sample to be measured. Such approaches will have great utility when investigating, how an individual is responding to therapy, to the presence/management of specific adverse effects, and ultimately better inform on long term progression of the disease, including the early diagnosis of recurrence. We develop approaches that balance and inter-connect quantitative and biological knowledge. Many acknowledge that no field has generated higher expectations, deeper frustrations, and more “translation anxiety” than advances in human genomics. Early on, we among others have highlighted the role of rigorous epidemiological and statistical approaches in improving the prospect of genomics and big data in personalized medicine. Our approach, termed “Systems Epidemiology” (Lund & Dumeaux, 2008 CEBP), proposes to integrate human -omics data with measurements from observational epidemiologic studies to better characterize the diverse range of factors influencing complex diseases, and help infer causation and support evidence-based research (Lund & Dumeaux, 2010 Int J Epi). In line with these concepts, we supported the development of a large biobank within the Norwegian Women and Cancer Study (Dumeaux et al, 2008 BCR). Building applications for interactive data exploration in systems biology. We have had a long-standing interest in the development of RNA-based biomarker signatures in blood, which can be used to inform on exposure and health status. 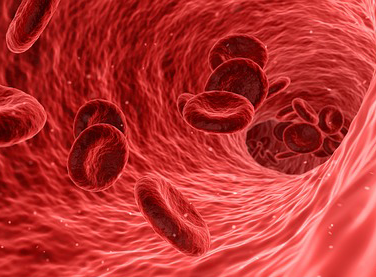 As a major defense and transport system, blood cells can adjust expression of their genes in response to various clinical, biochemical, and pathological conditions. To develop such surrogate signatures, we first defined robust laboratory methodologies for RNA profiling of blood cells (Dumeaux et al, 2008 Biomarkers in Medicine), and investigated “normal” inter-individual variation in healthy individuals (Dumeaux et al, 2010 PloS Genetics). These studies served as stepping-stones to several projects that investigated how the signatures can be used to detect systemic molecular processes deregulated in response to defined exposure and health status (>5 publications, 200+ citations). These manuscripts highlight specific behavioral programs, such as metabolism or signaling, deregulated in the individual’s blood cells that are biological and/or pathological responses to a given condition in the general population (eg exposure to organic pollutants) or in a diseased population (eg radiation-induced fibrosis in breast cancer survivors). These blood-based signatures can also be used to develop new ways to diagnose the disease. For example, our blood-based diagnostic test for breast cancer may reduce false positive interpretations of suspicious mammographic results (3 publications including Dumeaux et al, 2015 IJC; one patent and one ongoing trial).